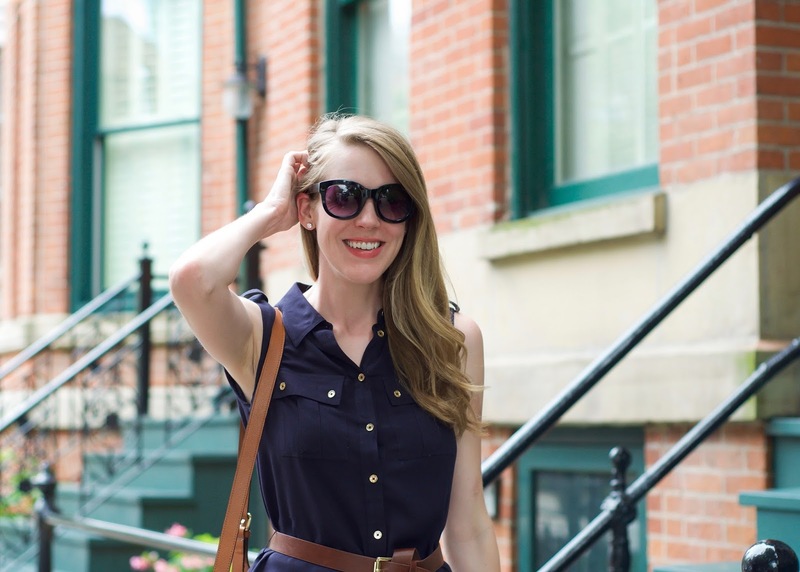 I bought this belted shirtdress years ago and it's been one of my favorite summer dresses ever since. I knew it would be the perfect compliment to my new studded sandals. These sandals are great! They're only $51 and are a close dupe of the Valentino ones (which are over $1,000!). They're comfortable and I have found about one hundred things they go well with! Hope everyone had a great weekend! Patrick and I ran in the Big Ten 10K yesterday which was very challenging but equally rewarding. I was a big runner in college (I ran a half marathon my junior year) but have fallen out of touch with running since graduating. So while 6.2 miles may not seem like much to some people, it definitely was to me who has only run a maximum of 2 miles straight in the past few years. It's something I'm going to keep working at!